Datura Tatula called also devil's trumpet is perenial plant of the Solanaceae family. This Datura flowers have a blue heart and magnificent white. 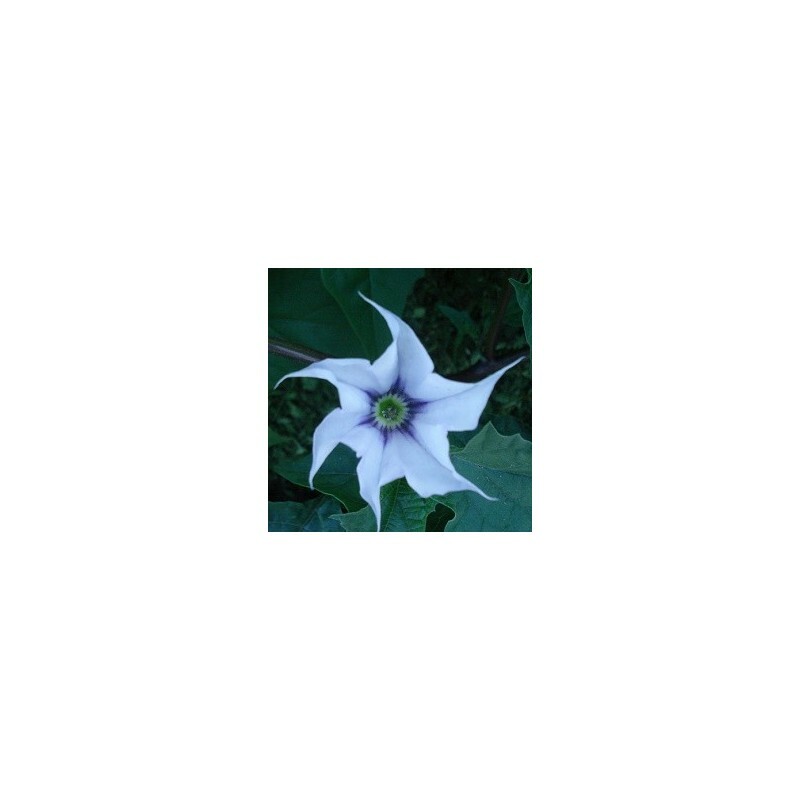 This variety of Datura has beautiful white flowers with a purplish heart. Seeds of Datura tatula are small, very hard and black in color. The leaves have a strong odor close to that of Datura stramonium. Datura tatula grows on arid soil with little organic matter. 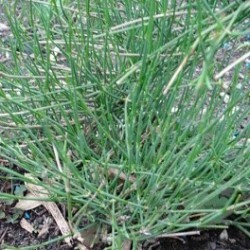 It grows in full sun but tolerates partial shade exposure. It is generally 1.20 m high by 80 cm wide. It is a very beautiful shamanic and ethnobotanic plant. Datura tatula was discovered in Mexico City, the seeds were used during divinatory rituals. In North America, the leaves of the Datura tatula are used as a relaxant (as well as wild opium lettuce, wild dagga or ginger grass). In Germany, Russia and China, the seeds of devil's trumpet are mixed with beer, which causes an increase in the effects of alcohol. In Europe, sorcerers and witches, burned the seeds of Datura tatula to chase ghosts and evil spirits. Start by laminating your seeds of Datura tatula 3 weeks in the refrigerator. Then sow your seeds of Datura tatula in a small box of fine and well draining soil, cover them on 3 to 4 mm of soil then water to the sprayer. Place your Datura tatula box in a greenhouse at a temperature of 25-30 ° C.
The germination of the devil's trumpet seeds of the devil takes place after 3 to 5 weeks, sometimes longer.